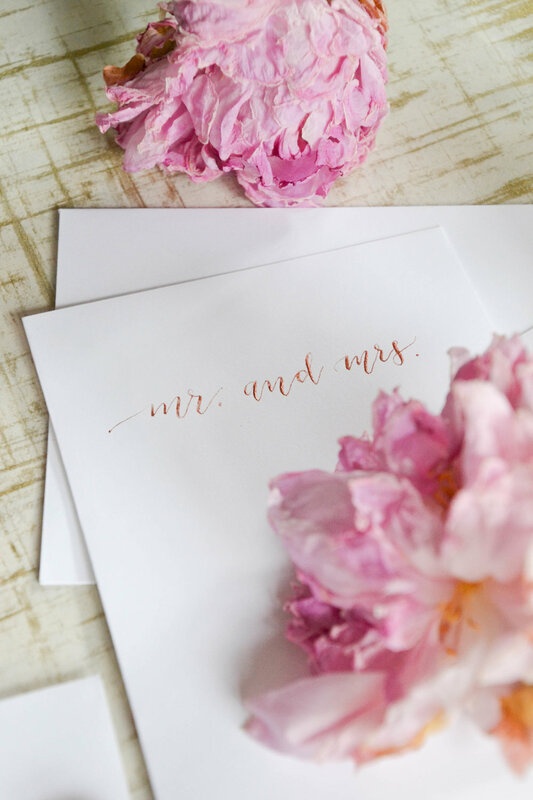 One of the biggest perks about being a calligrapher is that you get to do your own wedding calligraphy! For our save-the-dates (!!!) 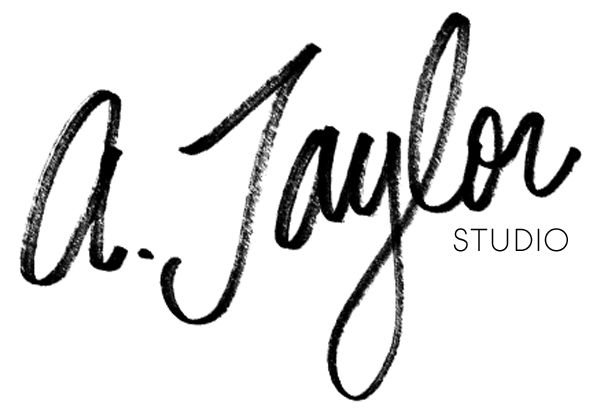 I am going to be doing my own hand-lettering on our envelopes. There's a lot to do, and I've already started. I have been pinning and saving ideas like crazy and now the time has finally come to design my own! I decided to document the experience since I am relying on a new medium I don't normally use - Pearl Ex. I also decided to review the pro's and con's of using Pearl Ex, which may be helpful for you if you're interested in using it for yourself. Our save the dates have copper accents on the card; we opted for a beautiful foil decoration. Since these are a little more informal than invitations, I decided to go with something a little more whimsical and glitzy. Our save-the-dates (from here) came out beautifully so I decided to splurge on a copper colored ink for the envelopes with the intention to match the details on the card. I always use Paper Ink & Arts for my calligraphy supplies; they are awesome, speedy, and offer great rewards (again, this is not a sponsored post! They really are awesome). I love supporting a small business, too. 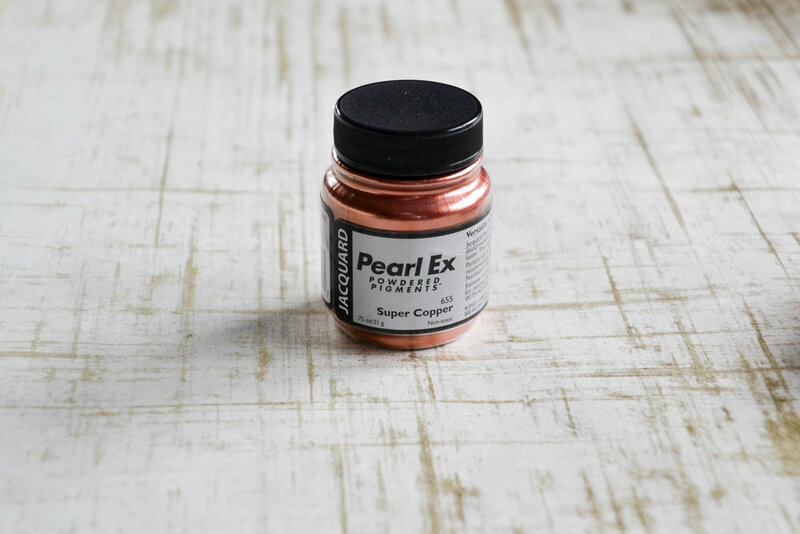 So I ordered some new brause nibs and this Pearl Ex powdered pigment, in Super Copper. It is very affordable at just under $6 for .75 oz. It'll last me forever! I'd like to mention first that Pearl Ex is not my first choice when it comes to metallic inks. I definitely prefer Fine-tec, which works more like a watercolor and has the smoothest application and amazing sheen. It creates a beautiful final product. I didn't use Fine-tec because it is costly and it comes in a pallette with a small amount of product. At $27.95 a pop, I decided to go with Pearl Ex because it is more economical and I found a very close to perfect shade. So, Pearl Ex works like this: you need to add water, gum arabic, and the Pearl Ex into a small mixing jar. I usually wing it and add just enough water to make a mixture that is not translucent, but not too thick. Another great perk with this is that you can simply dip your dip pen into the ink; whereas with Fine-tec, you need to apply it on to the nib with a brush. It saves so much time! To be honest, though, I had never heard of gum arabic until I tried Pearl Ex; it makes the mixture less watery as it, with my understanding, absorbs some of the water and makes for a more consistent, goopier opacity. It turns it more into an ink mixture, because with just water, it wouldn't have the same body or shine. Application is so much easier than with Fine-tec. It is smooth and the shiny concoction that simply glides off the nib is so mesmerizing! It is a joy to work with. When dried, it has a beautiful, pearly and sparkly finish. It is easy to read. It is extremely affordable. The gum arabic, which is a necessity, is $4 while the Pearl Ex itself is about $6. That's a big difference comparing it to Fine-tec at about $30. Pearl Ex is a time-saver! After mixing, all you need to do is dip your pen into the mixture. You will know if you need more water or gum arabic because it won't slip off of the nib with ease. It comes in a zillion colors! (almost). The powder itself is extremely sparkly and hard to remove - I found this to be true with all Pearl Ex products. So, be careful and avoid spills! Unfortunately, after making the envelopes, I found that the dried ink smeared a bit - not too much to obscure the words, but just enough to be noticeable. That was a big disappointment. I usually don't finish a job in one sitting, so I will have to re-mix to find the perfect opacity again. Throwing in more water and gum arabic should do the trick. According to Paper Ink & Arts, some colors will not mix well with the gum arabic - so you need to be careful when choosing your shade. Overall, I am very happy with how the envelopes turned out and I can't wait to work on them some more! Another reminder that this is not a sponsored post, I just love these products and PI&A that much!